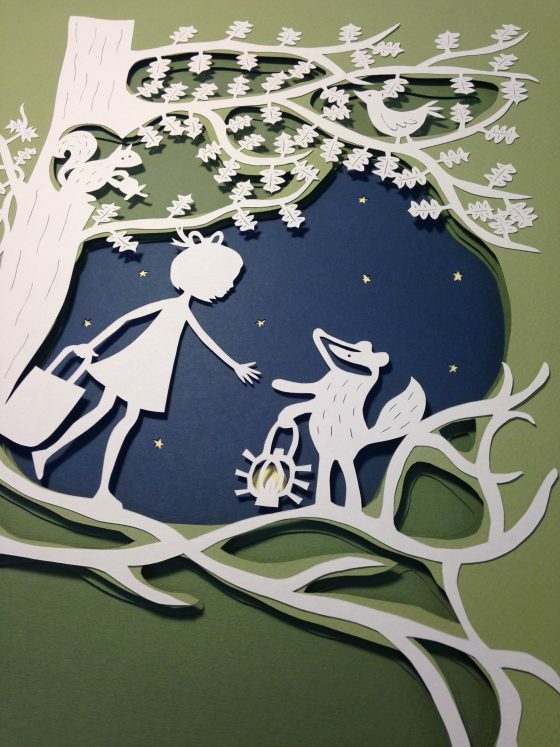 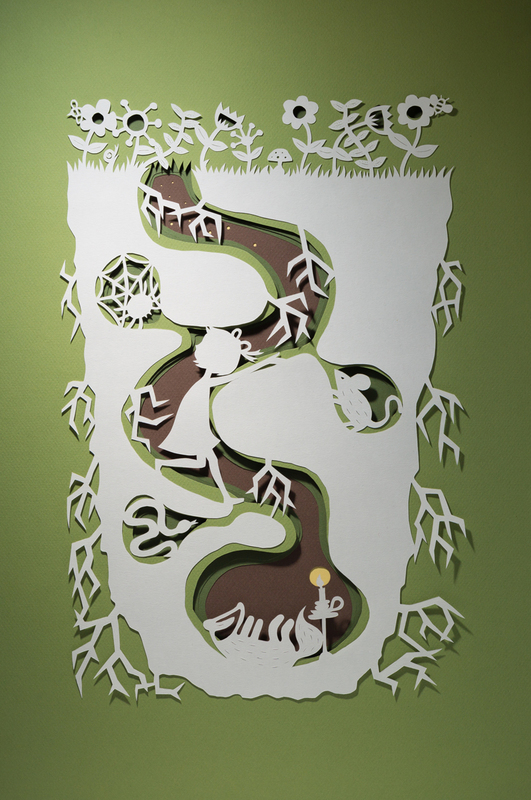 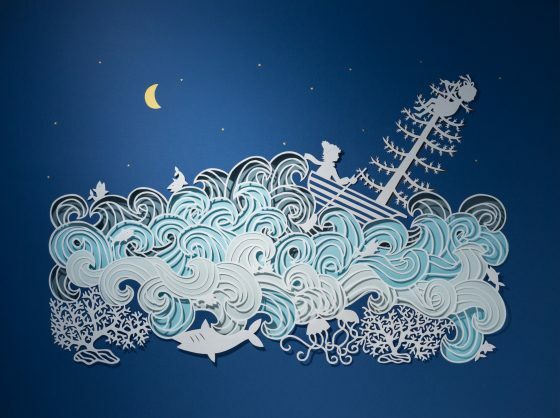 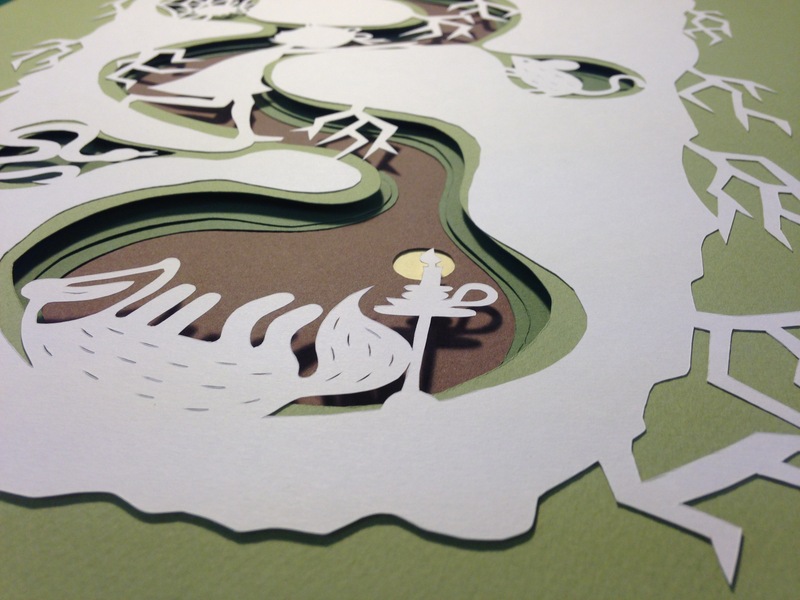 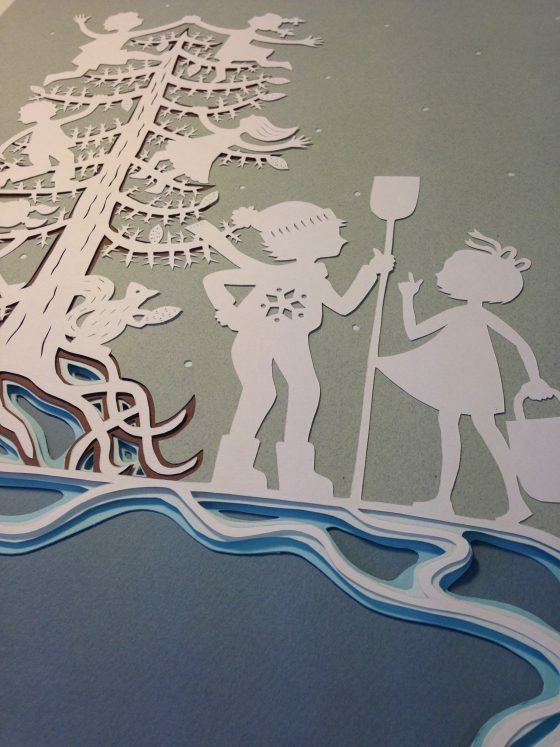 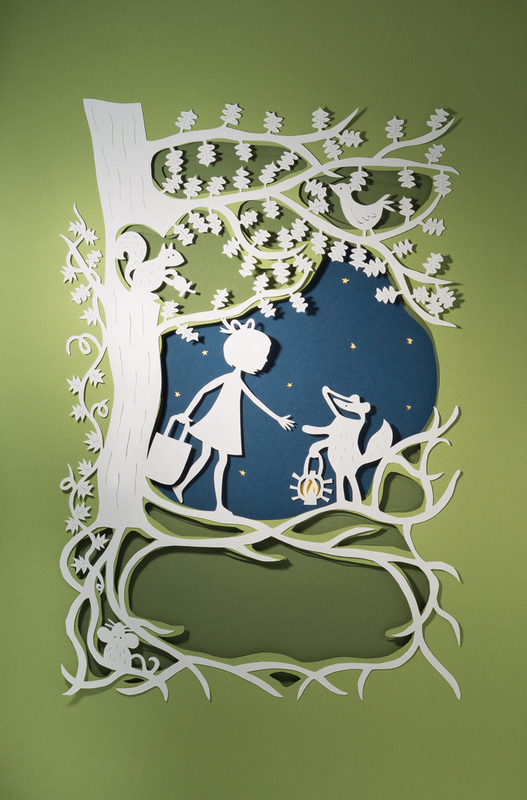 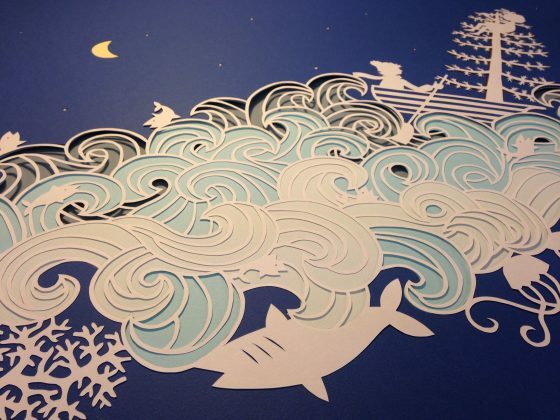 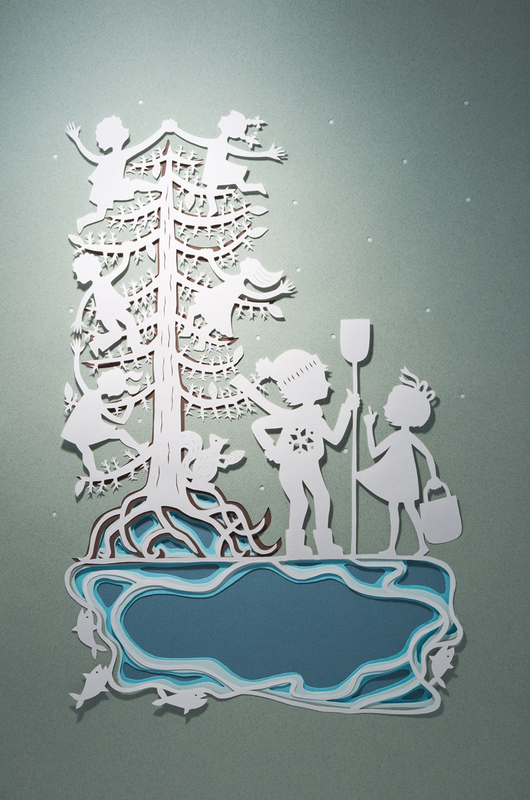 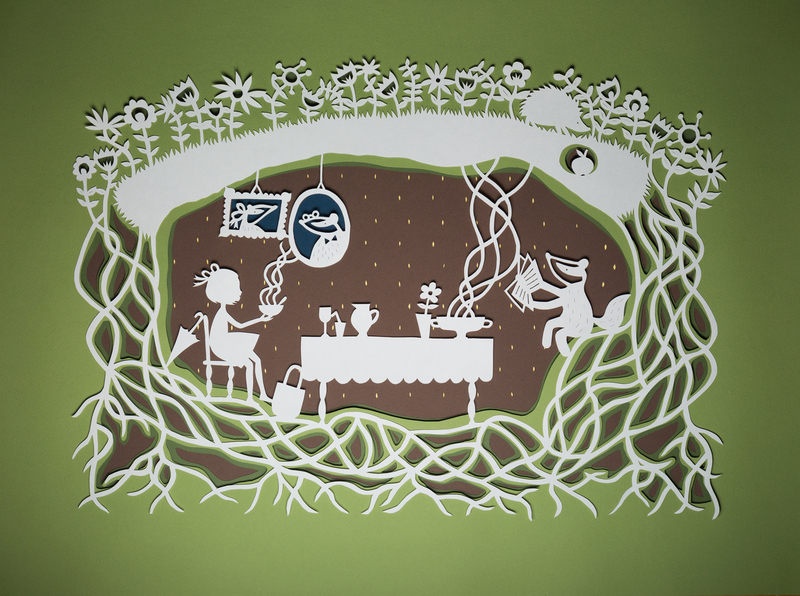 A series of 12 paper cut illustrations for Olga di Carta, a book that describes the journey of a girl made of paper through a natural, surreal and magical world. During her trip, Olga meets a colourful range of characters that help her find the way to a Witch and the discovery of her inner qualities. 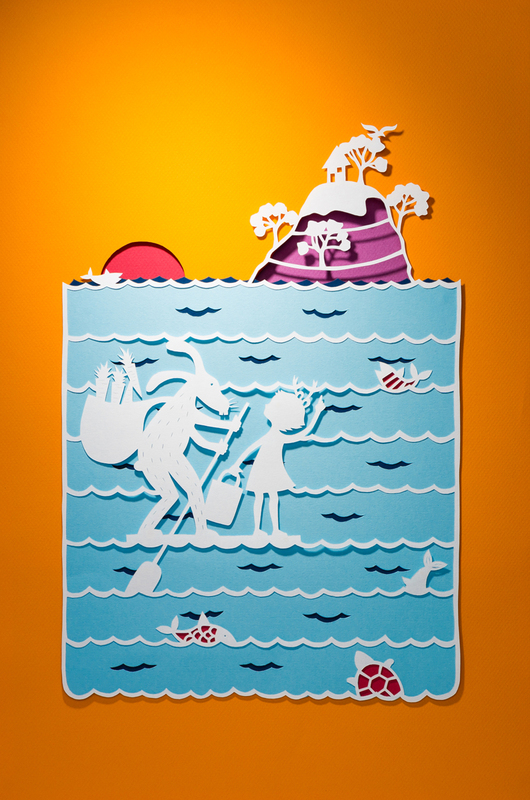 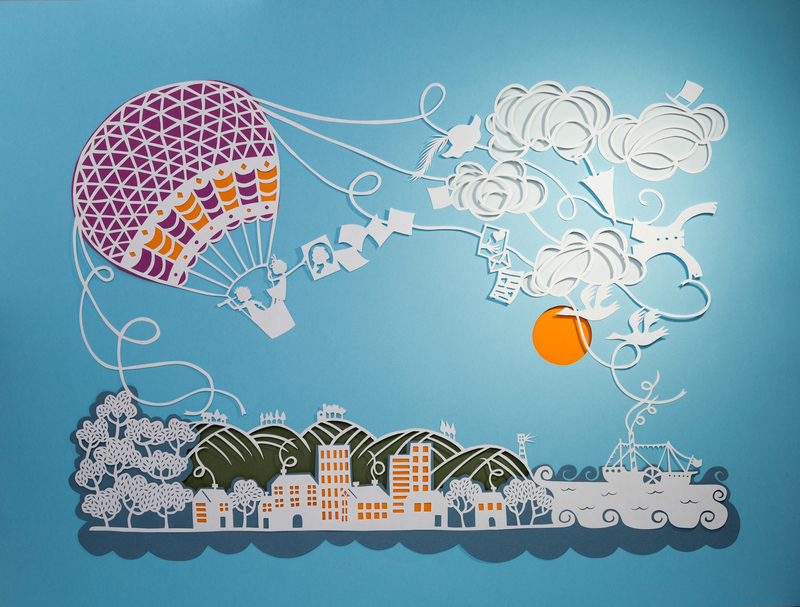 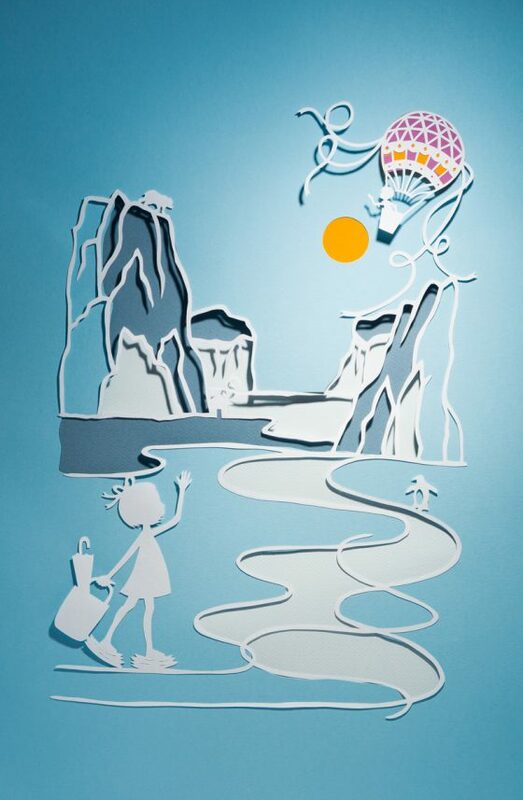 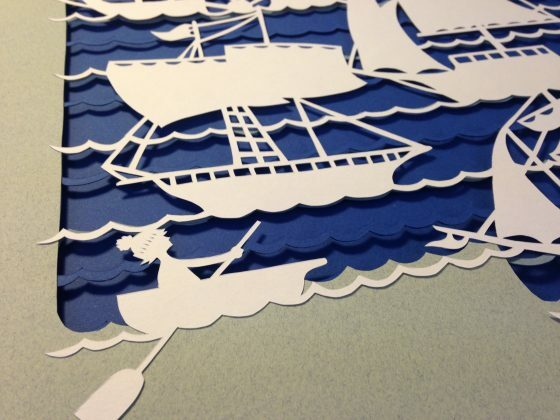 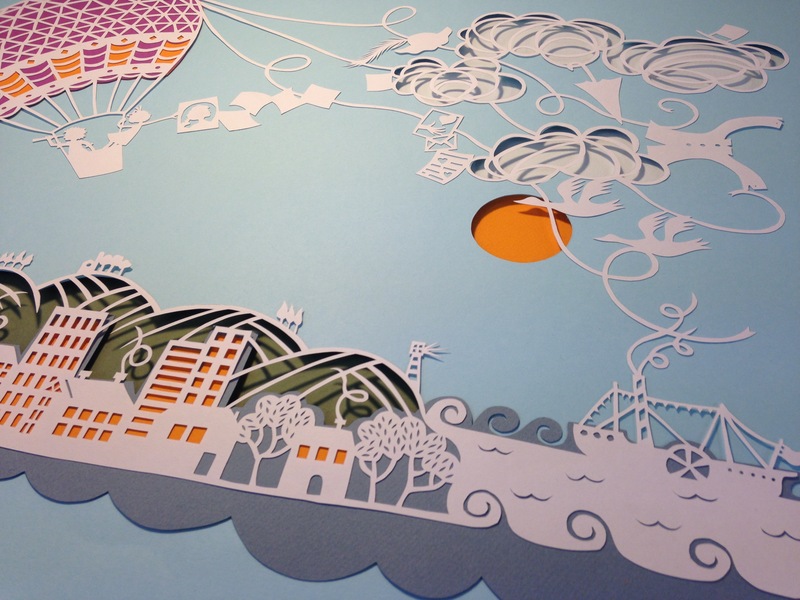 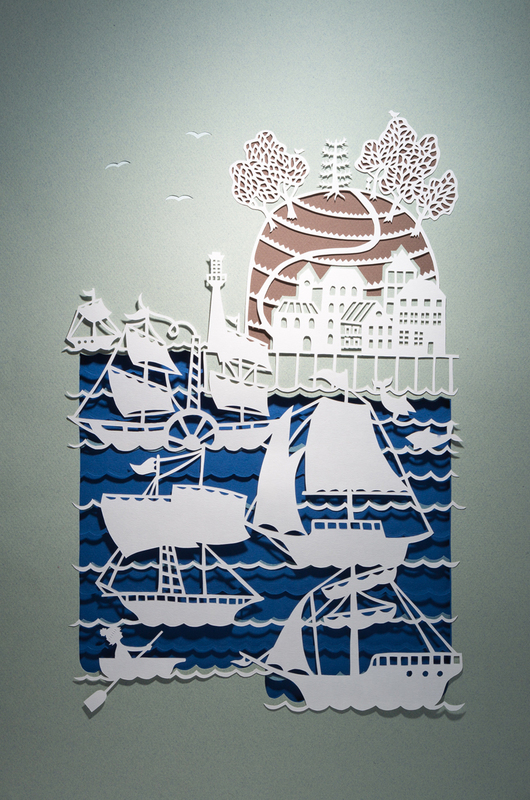 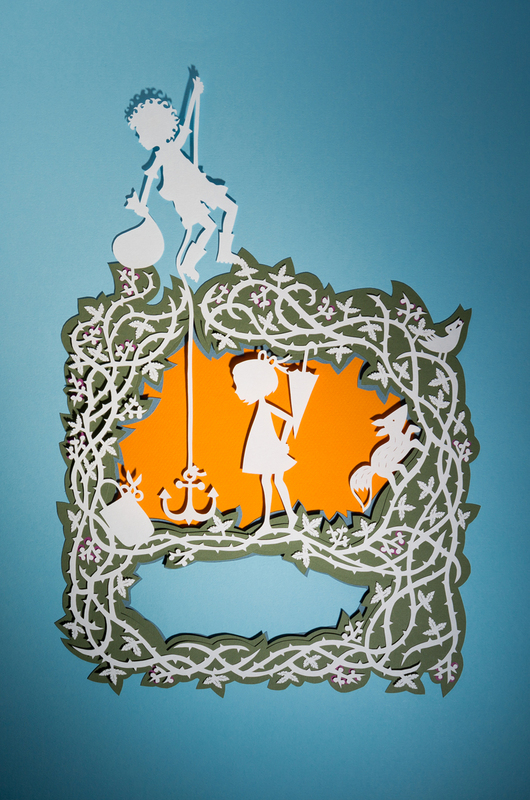 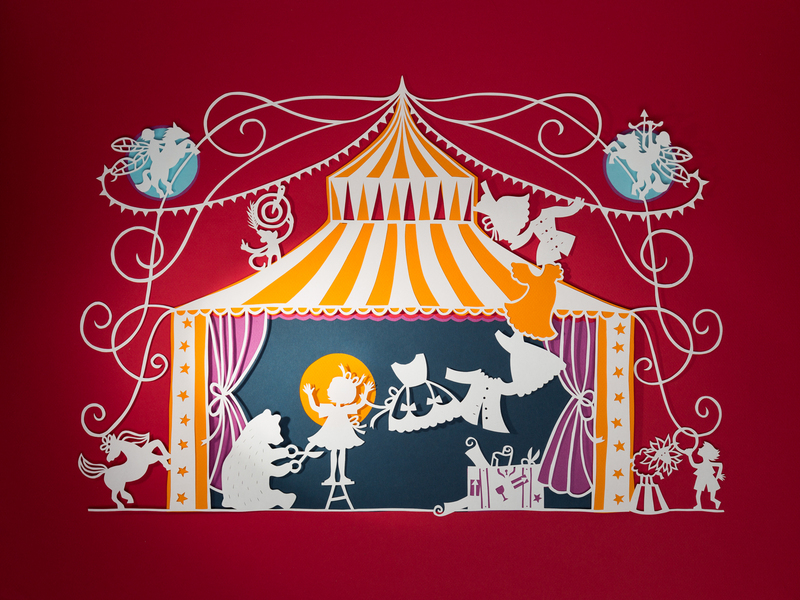 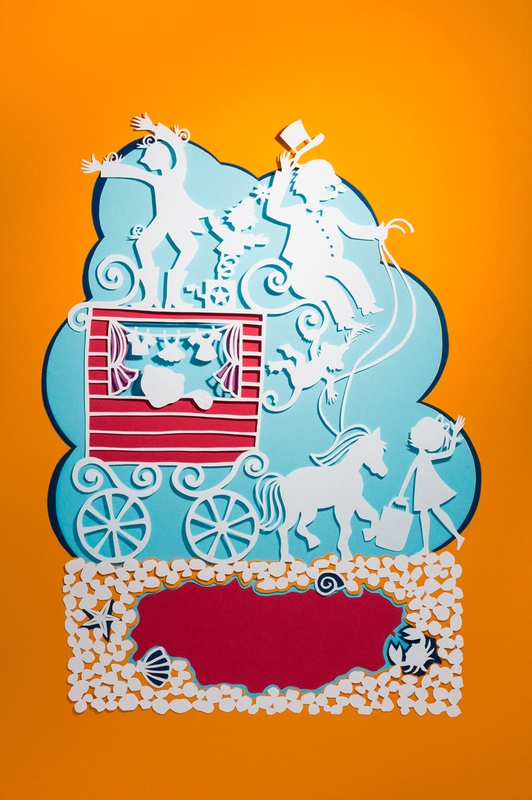 The images, created entirely with paper and colour card, illustrate four moments of the girl’s extraordinary journey. 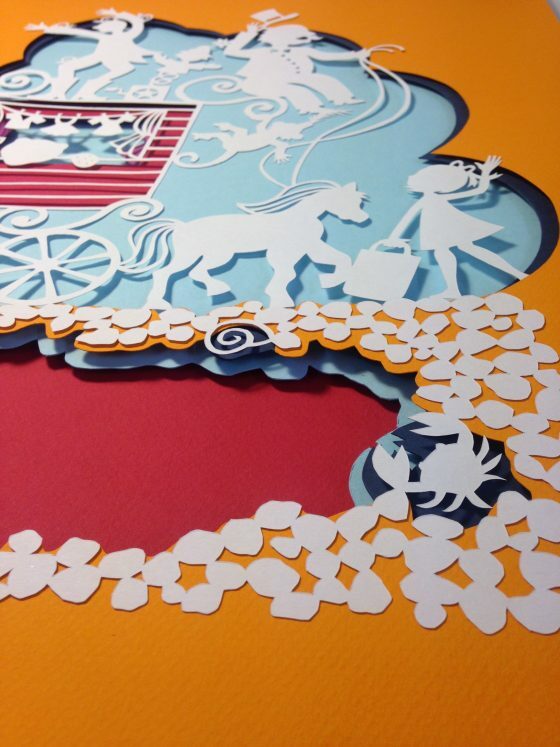 The book has been written by Elisabetta Gnone, produced by Bombus Media and published in Italy by Salani.